Action Cam vs GoPro Comparison: Which is the Better Device? Home Buying Guides Action Cam vs GoPro Comparison: Which is the Better Device? If you're in the market for a sports action camera but need help in making the final decision, you're in the right place. 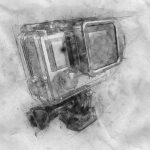 But, before you buy a knock-off or splurge on a GoPro, it's best to find out what different sports cameras have to offer. In this post, we're going to enter the action cam vs GoPro debate by examining price and features, to see just how closely they all measure up to the GoPro brand. What Does This GoPro Comparisons Mean to a Buyer? How Does It Compare in the Action Cam vs GoPro Battle? Action Cam vs GoPro: What's the Best? Today, there are many alternatives to the popular GoPro camera, and if you’re looking, it’s easy to understand why. The GoPro Brand is the originator and understandably the marquee leader in the sports action camera market. With product entries at different levels and cutting-edge, industry-changing technological improvements, you can’t lose by choosing a GoPro. Frankly, we understand why every extreme sports enthusiast and others searching for a sports action camera go straight to GoPro, but the reality for many is the GoPro price tag can be a bit high and out of reach. That's because GoPro started it all. Launching the first ever GoPro Hero in 2004, the action camera product line has quickly developed into a lucrative and high demand market. Likewise, the product features have expanded so much so that even iPhone owners have tried to dress up their device to mimic the rugged memory capturing capabilities of the GoPro. Over the years, increasing video length, expanding connectivity, audio and filming capabilities have kept the GoPro brand at the top of every action enthusiast’s need to buy list. As with any great product in high demand, the sports action camera line experienced an onslaught of mimickers offering similar results as the GoPro, but for a lower price. This is not a bad thing for you because now you have options. From a few of those options, we have created the list we will share below. It’s designed to show you different prices, features, and reasons to justify your purchase decision in the now very competitive action camera market. So if you’re considering a new camera that’s compatible with hiking through the rain, attaching to cars and bicycles, or even mounting on your dog as he plays in a park, before you leap use care in checking out the existing competitive brands to make your best decision. Before we can decide on an action cam vs GoPro, let's start by checking out the available GoPro models for comparison. If you're in need of a top of the line “Dunk it. Crash it. It can take it.” sports action camera, take a look at GoPro's four current models which include theHero line and the newest, GoPro Fusion. 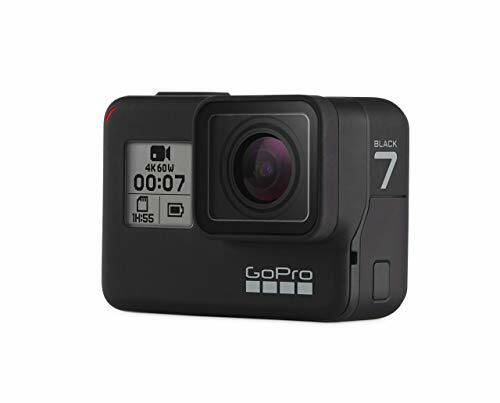 We'll list each model, its price and the key features you value most, followed by a comparison and discussion on what this all means to you and your purchasing decision within the GoPro product line. We'll start by examining the Hero7 White. If you didn't already know, the Hero7 line is divided by colors. The white level is the basic model level. 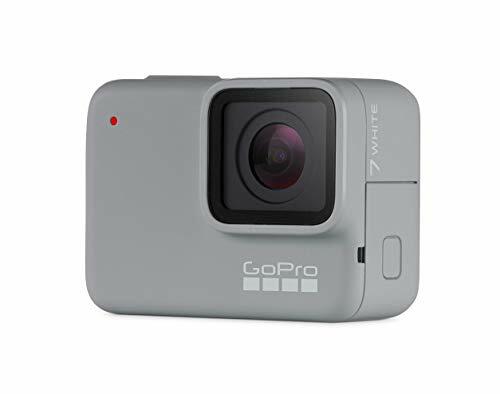 For those who cannot accept anything less than a GoPro, but are operating within a tight budget, you can pick up this model for around $165 to $200. The Hero7 White has many of the features you'll want and have come to appreciate from the GoPro brand. Of course, it's rugged and waterproof. GoPro has a reputation for building tough cameras, and this one is no different. It will work in water up to 33 feet or 10 meters deep. 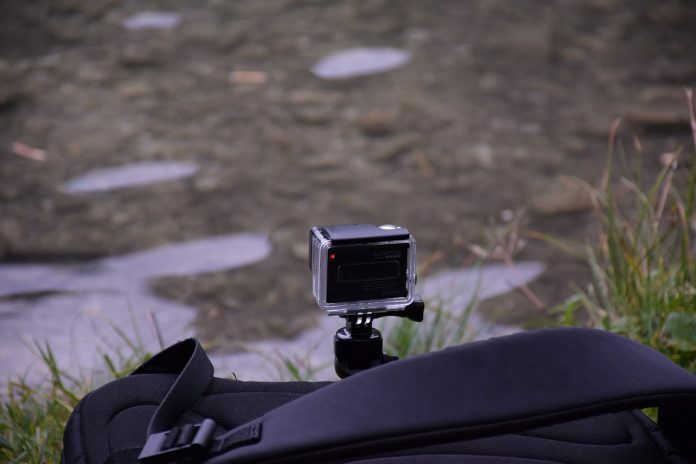 The GoPro is unmatched when it comes to offering protection from water and nature's elements. Plus, using it couldn't be easier to use. Simply swipe right or left to easily operate the touchscreen. It's amazingly simple. This camera offers a crisp and clear full HD Video with stunning shareable results. The burst mode allows you to capture brilliant photos at 10 mega-pixels. When you're ready to create awesome videos on your phone, Quickstories automatically moves footage for you. Another feature you'll love is being able to talk to your camera. This hands-free feature allows you to use voice control to issue 14 different commands. That really comes in handy when you're working alone. Likewise, the phone timer is great for shooting a selfie or capturing a group photo when you don't have an extra cameraperson. One level up from the white is the Hero7 Silver. This one will cost you around $200 to $300, but it has a few more features for you to explore. If crisp and steady 4K videos are important to you, you'll at least need the Silver. With many of the same waterproof, touchscreen and voice control type features, you won't miss anything from the White. The Silver also offers amazing photos even in dark areas thanks to the wide dynamic range (WDR) feature. This is great for cave exploration and nighttime hikes. The GPS which captures the location where your photos and videos are shot is available on the Silver, but not the White. The biggest differences between the White and Silver are the photo and video capabilities, GPS. The Hero7 is where you really get the bang for your buck. This camera will cost around $300 to $400 and has a lot to offer. The HyperSmooth Video is described as "insanely smooth." You really have to watch a video made with this camera to appreciate the difference. It's incredible. Like the Silver, Hero7 Black has everything the White offers and more. The Voice Control has 16 commands instead of 14, including "GoPro, take a photo" or "That was sick" to tag an epic video. It also has SuperPhoto, which allows you to get the best photos automatically. With SuperPhoto, HERO7 Black intelligently applies HDR, local tone mapping or noise reduction to optimize your shots. It truly makes shots look amazing in any light by using HDR, local tone mapping and noise reduction. One of the favorite features is Live Streaming. With this you can send pics and vids live, to share your story as you live it by video streaming to Facebook Live. If you're not ready to send, you can even save your streamed videos to your SD card in high resolution. Let's not forget the Super Suit Compatibility (Protection + Dive Housing) that increases your diving depth to 196ft (60m). The GoPro Fusion is the newest and priciest of the bunch. Listed around $550 to $650, this action camera is also the largest in size. Some of its unique features include many video enhancements. Videoing at 5.2K30, you also have access to Spherical Capture and Stabilization. The OverCapture feature lets you frame and punch out the perfect shot from your 360 footage to create amazing traditional videos. Like the Hero Black, it also has the Pro-Tune feature which lets you manually control color, white balance, and shutter speed. Similarly, this model offers a removable battery and GPS. One of its best features is the 360 Audio, where multiple microphones combine on the camera to capture spherical sound that comes at you from every direction. On the downside, the photo capabilities with the Fusion are not on the same level as the Black. Without a doubt, between the Hero models and the Fusion, GoPro has some big guns in the action cam vs GoPro game. But let's take a closer look at why you might spend about $700 for a GoPro when you can get one for around $165 to $200. 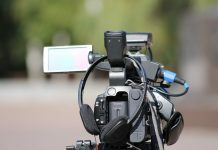 The first thing we notice is that as you move into the higher positioned cameras, there are expanded features, such as increased photo mega-pixels, improved audio and connectivity capabilities. While some of these features may be deal makers or breakers for you, it's important to honestly assess how, when and where you will use them and if your responses justify paying the higher price. In the hero line base model camera, you’re looking at a built-in battery, while the higher end products have removable batteries that can be easily replaced and interchanged to manage recording times. Battery-life is a real difference maker for most people. The last thing you want when deep sea diving or repelling a wall is to experience a battery issue. 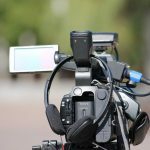 Another feature we want to look at is video stabilization. This feature improves dramatically from the base model up to spherical capabilities with the Fusion, where we've seen each level providing a smoother view. So if your active lifestyle requires smooth stabilization, you won’t want anything less than the Black level. You may have also noticed the slow motion features for at the Black Level slow things down by up to 8x while the Silver and White only achieve 2x. Slow motion analysis comes in handy especially if you're being recorded something technical, like hurdling in track and field, and you need to break down your specific motions. If you're simply recording your cat running up a tree, this feature may be funny but reducing the speed by 8x may not be critical. Go Pro audio features advanced wind noise reduction for each level. The difference you'll see here is are 2-mic processing for the Silver and White versus 4-mic processing for the Black. At all levels, except the Fusion, you have the option of purchasing a GoPro Plus Subscription to access the Auto Upload to Cloud connectivity feature. If 4K video capability is a must, you’ll need to at least get the Silver level. All levels offer the same quality Auto Offload to Your Phone and Time Lapse Video, so this wouldn't really factor into your decision. After that, the Black level really runs away with hard to match features that can make the difference in your recording experience and quality. 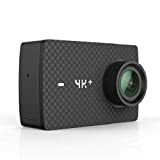 To select great options for our action cam vs GoPro analysis, we've identified three best-sellers on Amazon.com that have great reviews and high ratings. These GoPro wannabes are at different price points to meet any action cam buyer's needs. Campark Action cameras help you capture and share your world in a fantastic resolution. This camera records video footage in 4K/30fps and takes photos at 16M. If a landscape view is your thing, you won't miss out on any background with this Action Cam's two inch HD Screen and 170-degree lens. For expanded storage, this camera supports a 32GB on a Micro SD card. You can store all your photos and videos right on the camera. With a WiFi remote control, this sports camera allows you to operate the camera via the phone in real time. Crazy? On top of that, you can instantly send pics and videos via email or share them on social media easily. The Campark ACT74 is waterproof up to 30m(98Feet), allowing you to swim, drift, or surf, and has a case designed for the underwater world. Last, this camera boasts dual recharger batteries, allowing up to 180 minutes of shooting time, and it comes with a mounting kit and accessories. Impressive! 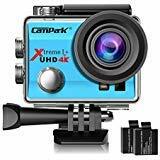 This action camera is available for around $100 to $130 and has earned a 4.5 star rating by reviewers on Amazon. 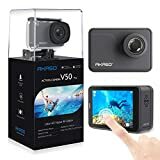 This AKASO V50 Pro action camera can capture every detail of your outdoor adventures and present immersive footage of you and your world. 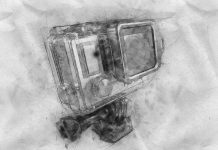 Using a Built-in Electronic Image Stabilization (EIS) with 6-axis gyroscope, this camera detects position and motion changes. When the camera tilts, moves, shakes or experiences impact, this action camera can still produce stable videos/gopro-vs-sony/. So if you want to mount it on your road bike, you won't have to worry about distortion. Also, you can adjust the view angle of this action camera according to your needs between Super Wide, Wide, Medium and Narrow. This distortion calibration feature helps with image distortion improvements. If you want to share your wonderful moment on social media instantly, just download App (iSmartPro+) on your phone or tablet and connect it to this action camera. This camera can easily connect to a TV via HDMI Port, which allows you to watch the action on the big screen. What's more, this underwater camera comes with 2 rechargeable 1100mAh batteries, chargers and remote control wristband and lots of accessories kits. The kits fit most cameras even GoPro. Just over $190 to $220, this sports camera is approaching the price of the base or White model GoPro. Over 100 Amazon customers have reviewed this product. leaving it with an overall 4-star rating. The YI comes in different price points, but this model is one of the highest. It claims to be the world’s first action camera to record 4K/60fps video. It has built-in image sensors which capture 12MP pictures and films high-quality full HD footages. 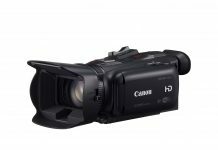 The built-in Electronic Image Stabilization (EIS) delivers spectacularly smooth and steady videos in up to 4K/30fps resolution, ensuring an excellent experience in shooting fast-moving objects. You can feel confident attaching this one to the outside of your car. This camera also uses an Intuitive UI Design called Gorilla Glass. This touchscreen allows you to see everything crystal clear and bright. Another benefit is users find it is easy to change settings, switch shooting modes, preview and playback footage. This camera's battery life supports video recording at 4K / 60fps for up to 70 minutes. You don't have to be an expert to realize there's a lot out there for you to choose. Whatever kind of outdoor adventure you enjoy, there's an action camera for you. If you're not impressed with the GoPro and alternative action cameras listed, you must not be serious about making this purchase. There are so many options and features, and all of these cameras have good ratings from Amazon users. If you have the money, the Hero7 Black is your best overall option on the market. It's a bit pricey, so your action cam vs GoPro purchase decision really boils down to your purpose and budget. While the GoPro is the market leader in almost every area, you can clearly see that many of the alternative action cameras are scooting up in features and functionality. Could you sacrifice a few fancy features and still get the job done well? The decision is in your hands.